We provide an extensive on-site laboratory which includes electrolyte analysis, blood gas analysis, haematology and biochemistry blood results. We also perform cytology analysis from fine needle aspirates, slide examination from skin scrapings and skin tape tests, ear swabs and ovulation monitoring. 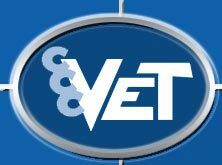 Rest assured the Central Coast Vet Centre will be there with the knowledge and high class facility to support your pet if the need arises.